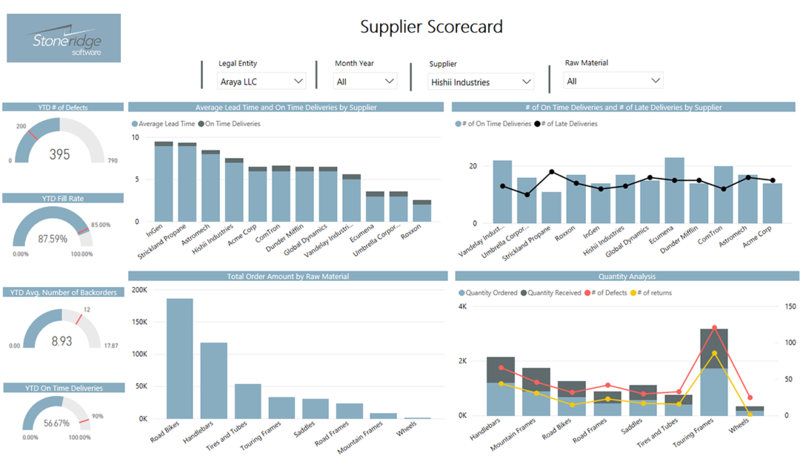 The Stoneridge Software Vendor/Supplier and Inventory dashboard is a robust solution that provides insight into your vendor and inventory business processes. It captures key metrics such as on-time deliveries, stock returns, stock outs on the vendor/supplier side and inventory turns and stock/reorder points for Inventory Analysis. It also gives you the ability to slice by various dimensions such as Legal Entity, Time, Supplier, Raw Material, and Product. 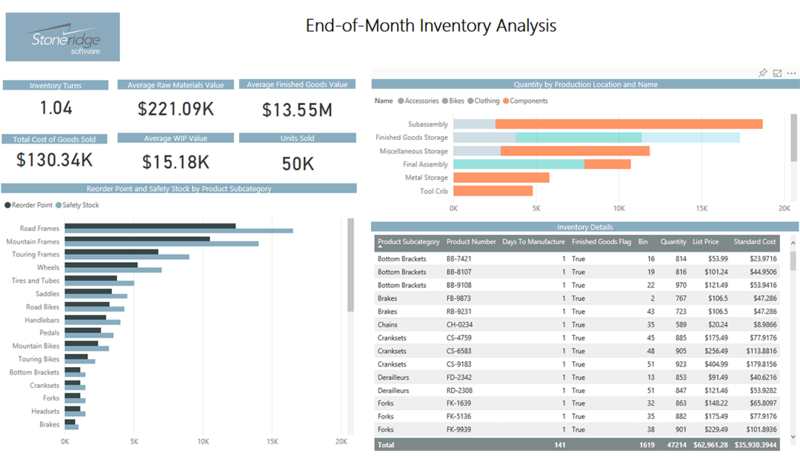 Gaining visibility into vendor and inventory metrics can be a challenge and extracting data from ERP systems is not a trivial task. You need to know what tables need to be included in a report, how those tables are joined, and do other transformations to the data in order for it to be used for reporting. 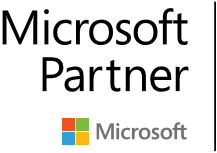 Stoneridge Software has an established track record in Microsoft Dynamics 365, AX, NAV, CRM, and GP implementations. We use our back-end systems knowledge to streamline the data gathering process, improve the amount of time it takes to get access to your data, and reduce the total cost of BI projects. 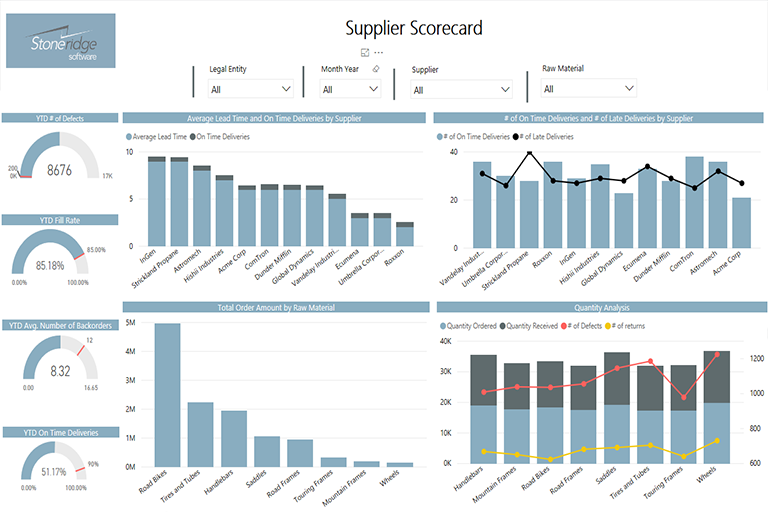 Stoneridge Software developed a Power BI solution that provides enhanced data analytics around vendor, supplier, and inventory key performance indicators in one dashboard. This dashboard can be built going directly against your Dynamics ERP systems. 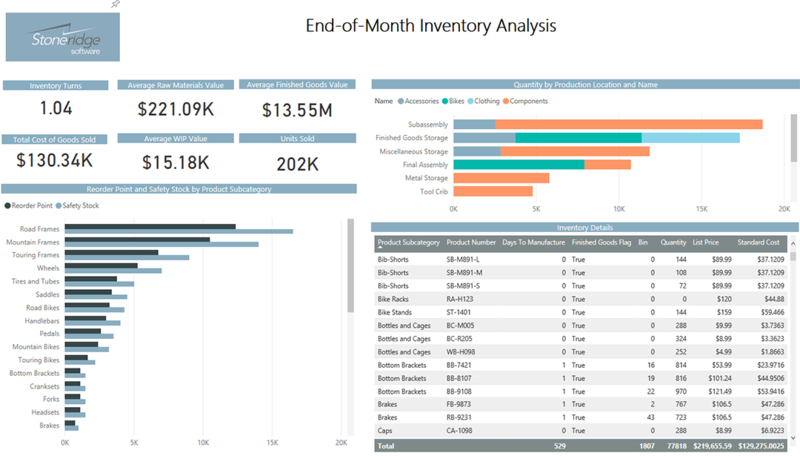 Stoneridge Software can help customize your Power BI reporting for enhanced decision making and analytics. We listen to your needs and step into your shoes to understand and deliver solutions with the maximum impact for your business.